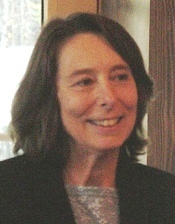 Ann Beattie (born September 8, 1947) is an American novelist and short story writer. She has received an award for excellence from the American Academy and Institute of Arts and Letters and the PEN/Malamud Award for excellence in the short story form. Born in Washington, D.C., Beattie grew up in Chevy Chase, Washington, D.C. and attended Woodrow Wilson High School. She holds an undergraduate degree from American University and a master's degree from the University of Connecticut. She gained attention in the early 1970s with short stories published in The Western Humanities Review, Ninth Letter, the Atlantic Monthly, and The New Yorker. In 1976, she published her first book of short stories, Distortions, and her first novel, Chilly Scenes of Winter, which was later made into a film. [The stories] are arranged chronologically, which allows the reader to trace the development of the author's technique. It also lets one see the contrast between the latest stories and the earliest, an experience of sufficient subtlety and complexity to reduce one in this limited space to the following gross generalizations: Gone is the deadpan style of the early and middle stories, in which Ms. Beattie lays out on a dissecting table the behavior of her disaffected post-counterculture yuppies and then leaves it up to the reader to do the anatomizing. Gone, too, are the stabs of lyricism of the middle period, particularly the endings that try poetically to recapitulate the story's action but feel tacked on and artificial. .. In the best of these stories, Ms. Beattie's ability both to commit herself and to knit her commitment into the finest needlework of her artistry contrasts sharply with the irritating moral passivity of her earlier work. Beattie has taught at Harvard College and the University of Connecticut and was for a long time associated with the University of Virginia, where she was first appointed as a part-time lecturer in 1980. She later became Edgar Allan Poe Chair of the Department of English and Creative Writing in 2000 and remained at UVA until 2013, when she resigned over disappointment at the direction in which the university was heading. In 2005 she was selected as winner of the Rea Award for the Short Story, in recognition of her outstanding achievement in that genre. Her first novel, Chilly Scenes of Winter (1976), was adapted as a film alternatively titled Chilly Scenes of Winter or Head Over Heels in 1979 by Joan Micklin Silver, starring John Heard, Mary Beth Hurt, and Peter Riegert. The first version was not well received by audiences, though upon its re-release in 1982, with a new title and ending to match that in book, the movie was successful, and is now considered a cult classic. She was elected a Fellow of the American Academy of Arts and Sciences in 2004. The State We're In, Beattie's most recent collection of short stories, is set in Maine and was described by Mary Pols in The New York Times Book Review as "slippery" and "peculiar." Pols wrote, "I read this collection twice trying to unravel the mystery of what else, beyond Maine, ties these unfinished-feeling stories together." Beattie was married to the writer David Gates. The couple had one son and divorced in 1980. In 1985, she met the painter Lincoln Perry, and they married in 1998. She and Perry both taught at the University of Virginia until 2013. From there they moved together to Key West, Florida, where she continues to write. In 2005, the two collaborated on a published retrospective of Perry's paintings. Entitled Lincoln Perry’s Charlottesville, the book contains an introductory essay and artist's interview by Beattie. ^ Champion, Laurie (2002). Contemporary American Women Fiction Writers: An A-To-Z Guide. Greenwood Publishing Group. p. 28. ^ Lehman-Haupt, Christopher (8 June 1998). "Dissecting Yuppies With Precision". The New York Times. ^ Hammond, Ruth. "Ann Beattie to Leave UVa". The Chronicle of Higher Education. Retrieved 13 February 2019. ^ "How 'Chilly Scenes' Was Rescued". The New York Times. October 10, 1982. ^ "Book of Members, 1780-2010: Chapter B" (PDF). American Academy of Arts and Sciences. Retrieved May 29, 2011. ^ Kakutani, Michiko (12 December 2011). "'Mrs. Nixon: A Novelist Imagines a Life,' by Ann Beattie - Review". The New York Times. ^ Raffel, Dawn (14 November 2011). "'Mrs. Nixon,' by Anne Beattie: review". The San Francisco Chronicle. Ann Beattie profile at IMDb. Christopher Cox (Spring 2011). "Ann Beattie, The Art of Fiction No. 209". The Paris Review. Narrative 10 Interview with Ann Beattie at Narrative Magazine, Fall 2014.